How does the change in Samoa affect Shabbat for the local Jews? Now that the Pacific island of Samoa has changed from the east side of the International Date Line to the west—to be in sync with Australia and New Zealand, its main sources of tourism and business—I’ve been wondering if there are any implications in Jewish law. When will Samoan Jews and Jewish tourists observe the Sabbath? You ask a good question. Jews worldwide celebrate the Sabbath, or Shabbat, on the seventh day of the week. But what happens when a country skips a day and changes their Friday to Saturday? The concept of a date line, and the fact that a traveler would either gain or lose a day after circumnavigating the globe, had been discussed in Jewish works hundreds of years before the establishment of the International Date Line. In 1884 Greenwich, England, was chosen as the central point for time and date calculations (the prime meridian), and the International Date Line sits at exactly 180° longitude from there. By using Greenwich as the prime meridian, the International Date Line falls conveniently in the Pacific Ocean. In those few areas where it should traverse a landmass, the line was slightly bent to avoid dividing countries. The date line is not governed by international law, and it is up to the individual countries to choose which side of the line they wish to be on. Occasionally a country decides to switch sides, as the islands of Samoa and Tokelau did last week. To determine the Jewish view on the date line and Sabbath observance, we must examine four major opinions in halachah, Jewish law. Rabbi Zerachiah ben Isaac Halevi Gerondi2 (12th century) and Rabbi Yehudah Halevi3 opined that the date line runs 90° east of Jerusalem. The reasoning behind their opinion is that we consider Israel, and more specifically Jerusalem, to be the center of the “inhabited” world (at that time). In other words, six hours, or 90°, to the east and west of Jerusalem at one time encompassed the entire known world. The other side of the world (i.e. the western hemisphere) was considered the “lands of the sea.” Since the day begins to the east of Jerusalem, the quarter of the world to the west of Jerusalem, together with the entire western hemisphere, completes the day. Thus, the date line is 90°, a quarter of the globe, east of Jerusalem, or about 125° east of Greenwich. Since Jerusalem is 35° east of Greenwich, the date line would be 35° east of the current International Date Line, or 145° west of Greenwich. Accordingly, Hawaii and parts of Alaska would be on the western side of the date line, and the Sabbath in Hawaii would be on Friday. Rabbi David Shapira opined that the date line is approximately 135°, or 9 hours, east of Jerusalem. This would make the date line approximately 170° east of Greenwich, which is only 10° off the International Date Line. According to R. Shapira, however, the line zigzags, slanting toward the Siberian coast as it goes through the Bering Straits, and then through the Pacific at 177°. Then it turns east of New Zealand. Accordingly, Hawaii and Japan would observe the Sabbath on Saturday. The Jewish Telegraphic Agency tracked down one Jew living in Samoa, and there may be many more. When would this person mark future Sabbaths? It would depend on which of the above opinions he follows. According to the first opinion—that the date line is 90° east of Jerusalem—then it runs west of Samoa, so until now the Sabbath was on Saturday. But now that Samoa has switched to the western side of the International Date Line, Sabbath would actually be on Sunday. According to the second opinion—that the date line runs 180° east of Jerusalem—these islands, as well as Hawaii, were always west of the line. So until now the Sabbath in Samoa was actually on Friday, but now it will be on Saturday. If, according to the third opinion, we say that the date line is 135° east of Jerusalem, then it runs to the west of Fiji. This means that until now the Sabbath in Samoa was on Saturday, but from now on it will be on Sunday. While there are a number of opinions about the date line within Jewish law, the fact that a country decided to arbitrarily alter the date line has no bearing on the Sabbath, other than to mix up the names of the days. We still work for six days and rest on the seventh, the Sabbath. It is important to note that this is but a brief overview, and while it seems that most of the communities in the questionable areas observe the Sabbath on Saturday, the laws are complex. One should consult a seasoned, knowledgeable rabbi before traveling. See How Do We Know Which Day Is Shabbat? from our minisite on Shabbat. Baal Hamaor, Rosh Hashanah 20b. We read in the Talmud there that a day may be declared Rosh Chodesh, first day of the new Jewish month, only if the new moon appeared in Israel by noon of that day—i.e., at least 6 hours before day’s end. R. Zerachiah explains that this ensures that at least somewhere in the world there will be a full 24-hour day of Rosh Chodesh. This means that the day begins 6 hours east of Jerusalem, and the area just to its east is 24 hours behind it, and 18 hours behind Jerusalem. Kuzari cited in note 1. Rabbi Yitzchak Yisraeli, Yesod Olam 2:17 and 4:7–8. “Kuntres Shemoneh Esreh Shaot,” printed in Chazon Ish, end of Hilchot Shabbat. It should be noted that there are a number of difficulties with this approach (some of which have been noted and discussed by the Chazon Ish himself). The line 90° east of Jerusalem does not actually coincide with the eastern edge of the landmass on which Israel is located, but is partially to the east of it, in the Pacific Ocean. Additionally, the problem is not just that the landmass is split in half, but that if we go strictly by the 90° line, the majority of Australia would be on the east side of the date line (i.e., the side on which the United States is located), and only a small part would be on the west side, the side of Jerusalem. This would have meant that the Jewish community in Australia (which already existed at the time this question arose, during World War II), which was used to keeping the Sabbath on Saturday, was keeping the wrong day, and should have been keeping the Sabbath on Sunday. Therefore, the Chazon Ish was forced to say that the majority of Australia which is to the east of the 90° line is “drawn after” the small part which is to the west, in order that they continue to observe the Sabbath on the day they were accustomed. But many point out that it is illogical to say that the majority of the land gets drawn after after a small portion; see comments by the Rebbe (Rabbi Menachem Mendel Schneerson, of righteous memory), Shaarei Halachah Uminhag, vol. 2, p. 153. Furthermore, the commentaries of Rabbeinu Chananel, Rashi, Tosafot and Rabbi Abraham ben David on the Talmud (Rosh Hashanah loc. cit.) explain the statement there differently; according to them it is not referring to the date line and has no bearing on it. Midrash Tanchuma, Kedoshim 10; Talmud, Yoma 54b; Zohar 2:157a–b. Sefer Hayomam B’Kadur Ha’aretz, ch. 23. This would appear to be the opinion of the Yesod Olam (cited in note 4) as well. See Talmud, Eruvin 76a; Yesod Olam, ibid. ; Shaarei Halacha Uminhag ibid. Responsa of Rabbi Hai Gaon, Otzar Hageonim, Rosh Hashanah, p. 21; “Pirush” on Maimonides’ Mishneh Torah, Kiddush Hachodesh 9:3. Responsa Bnei Tzion, vol. 1, 14:6, 13. It should be noted that there are other opinions similar, but not identical, to the one expressed by Rabbi Shapira. For example, Rabbi Binyamin Rabinowitz-Thumim, “Kuntres Gevul Yom” (published in the journal Hapardes, Iyar 5714 (1954)). Others, however, note that there are actually six opinions as to where the luminaries were set on the fourth day. Additionally, according to this opinion we are saying that a place other than Jerusalem is the center of the world, something which we do not find referenced anywhere in the Talmud or Midrash. See Hayomam Bekadur Haaretz, ch. 22, and Kav Hataarich Hayisraeli, ch. 27 (see also Agan Hasahar, p. 474). In addition, according this opinion, that the line bends does not follow the majority opinions, including that of the Geonim, Rabbi Eliyahu of Vilna (known as the Gra), and Rabbi Schneur Zalman of Liadi in his prayerbook. See responsa of Rabbi David ben Solomon ibn Zimra, the Radbaz, 1:76. Kav Hataarich Hayisraeli. This is also the view of Rabbi Isser Zalman Meltzer, author of Even Ha’azel, in his approbation to this work, as well as Rabbi Tzvi Pesach Frank, Har Tzvi, Orach Chaim 138, based on the responsa of the Radbaz cited in the previous note. This view is considered problematic. In numerous places in the Talmud we read while the sanctification of the moon, and the holidays that are dependent upon it, are dependent on the beth din (central Jewish court), the Sabbath is not, as it is already sanctified by G‑d. Additionally, it would come out that the day of the Sabbath in a given place can change, something that even R. Kasher agrees is problematic. See R. Tucazinsky’s rejoinder to R. Kasher in Talpiot, Nissan 5704 (1944). R' Kasher actually advocated establishing the International Dateline as the dateline in Jewish law, but only with the agreement of the central rabbinic court in Israel. Until that is done, his opinion remains unchanged. R. Kasher addresses this very situation in “Shabbat Bereishit—Shabbat Sinai,” Talpiot, Tevet–Adar 5704 (1944). 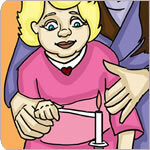 Where to Light Shabbat Candles? Can I Disinvite My Brother From Shabbat Dinner? where ever you are there you are! Isn't Shabbat on Friday night and at sundown no matter where you are and no matter if you already had a Shabbat somewhere else because of traveling to a different country! How many hours does the holiness of Shabbat rest upon earth each week? A new need The idea that there were timezones was a new concept in the 1100's. Before that, it was irrelevant in that no one ever conceived of traveling that quickly or communicating across places where it might be day here and night there. The sources of the Kuzari came from the secular Arabic world, where astronomy was a developing study, as we see from his contemporary, the Rambam. Indeed the Rambam should have mentioned it if it were central to Halacha. @Mike Stutzer Try reading the artice again, specifically the second paragraph "The concept of a date line, and the fact that a traveler would either gain or lose a day after circumnavigating the globe, had been discussed in Jewish works hundreds of years before the establishment of the International Date Line." It is apparent from this article that Halacha doesn't have limits at all. It conceived of the idea and discussed it long before any other scholarly work. Torah is limitless. It contains everything we need to know to live in this world. Just because this article doesn't discuss the final Halachik ruling doesn't mean there isn't one, it means that it will depend on your Rabbi and your specific situation.